Hercules EI-JIV made it's first sky-diving flight on Wednesday 10th July from East Midlands Airport in the UK. 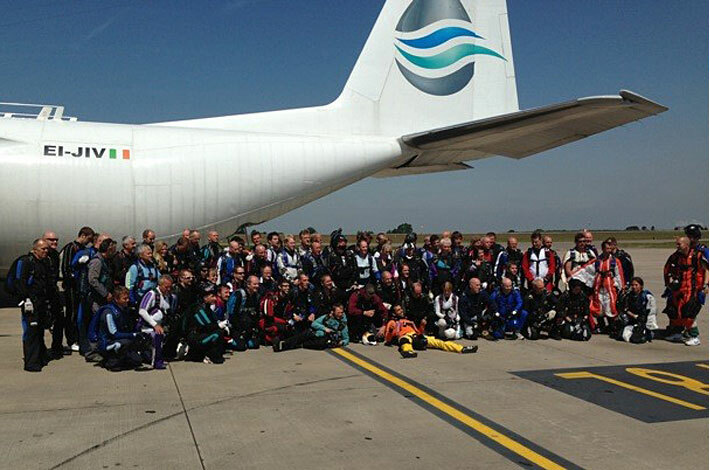 Eighty five sky-divers flew to an altitude of 12,000ft over the East Midlands before jumping out of the rear ramp of the aircraft. It was a spectacular sight as all successfully left the aircraft to free-fall towards Sibson Airfield near Peterborough.